This morning over 2000 cases (cases... not boxes!) of Girl Scout Cookies were delivered to the Madison Volunteer Ambulance Corps Building for the Madison/Harding Service Unit. (Let me just say... that's a WHOLE LOT of Girl Scout Cookies!) I spent my morning with a group of Madison and Harding troop leaders (about a dozen of us) and stacks and stacks of Thin Mints, Samoas, Tagalongs, Savannah Smiles, S'mores, Do-Si-Dos, and Trefoils (Toffeetastics will deliver April 1st!). 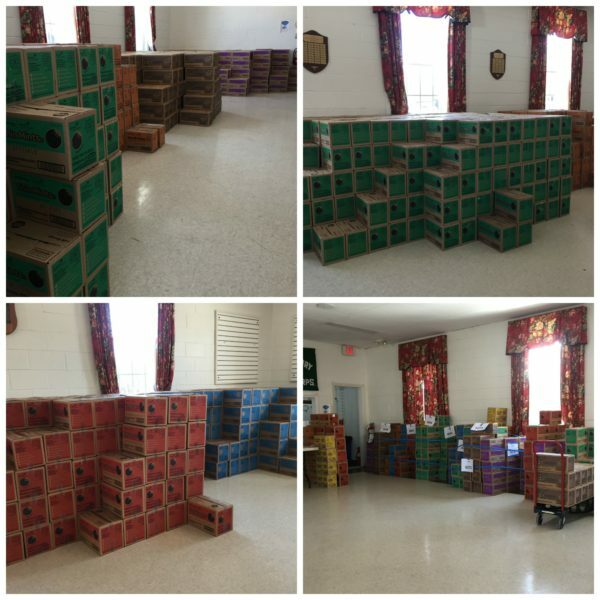 Amazingly, in under 4 hours hours, all of those cases were sorted by troop order, and ready for our local Girl Scout troop leaders to pick up. By about 6pm tomorrow, all 2000+ cases will be picked up from MVAC. I can't speak for all of the troops... but I can say that the plan for my 2 troops is to have the cookie orders sorted and into the hands of all of the individual Girl Scouts by Monday evening. SO... if you made a cookie order from a Girl Scout recently... be on the lookout for your cookie deliveries! AND... if you didn't make an order... be on the lookout for upcoming booth sales in the local Madison/Harding area!